Deposits are due at the time of booking, and they go towards the balance of your rental. All deposits are non-refundable at the time of booking (this is for any and all reasons). We do offer rain checks for you to reschedule to a different date. We offer 4 hour and 8 hour rentals. Any 4 hour rental can be scheduled to begin as early as 8am and end as late as 7pm. Any 8 hour rental can be scheduled from 8-4, 9-5, 10-6 or 11-7. NOTE: A 10% premium will be added to rentals on Easter Sunday, Memorial Day, July 4th, and Labor Day. We will be closed Thanksgiving Day and Christmas Day. We accept cash, check, debit, and major credit cards. Most deposits are made through PayPal invoicing. The remaining balance of your rental must be paid in full at the time of drop off. MS sales tax of 7% will be added to your total. Our current products are listed below. Click “check availability” beside each product for available rental dates. You can scroll left or right to view additional months. Dates marked with a full red square indicate all units of that model have been booked. Dates marked with a full orange square mean there may be additional units available, so check with us. *Click here to visit our Facebook page where you can view our latest updates and get a first look at our newest products! *Call for panel inventory. Add $30 for art panel. *This is half of the 53' Obstacle Course! *This is half of the 70' Obstacle Course! 500 watt LED color changing Bluetooth speaker including stand, remote, and PA system with microphone! Rented alone $65 and delivery fee may apply. Comes with 2 quarts of syrup (Grape, Cherry, Orange or Lemon Lime) and 50 cups and 50 Straws. 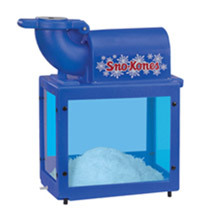 Other flavors available with advanced request. Go mobile with your next rental!! 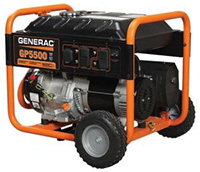 Rent a generator with your inflatable to take your party almost anywhere. Rental price includes a full tank of fuel ($20 value depending on prices). Thickness of Table Top: 2.2"
Thickness of Table Top: 2.1"
For all wet inflatables the customer is responsible for providing the water hose for each unit. Dates below marked in red indicate that all units of this model have been booked. Reserve your unit before it's too late! 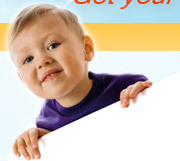 The 13' x 13' module bouncer is great for your next party or event! These units can be fitted with art panels to match the theme of your party! (DRY ONLY) *Call for panel inventory. Add $30 for art panel. 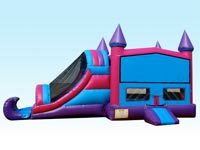 This 13' x 13' module bouncer is perfect for your little princess! These units can be fitted with art panels to match the theme of your party! (DRY ONLY) *Call for panel inventory. Add $30 for art panel. This is a combo unit bounce house with slide! (DRY OR WET) *This is half of the 53' Obstacle Course! 22' Double Lane Tropical Super Combo!! You'll enjoy barrels, logs, and pop ups with this inflatable. Hours of racing fun with your buddies! (DRY ONLY) *This is half of the 53' Obstacle Course! 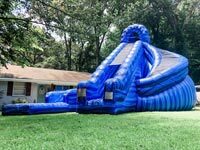 The Retro Style Rock Climb Slide is the best in competitive entertainment for your party or outdoor event. Two contestants can challenge each other to see who can climb up the rock wall and then head down the 12' slide the fastest. The Rock Climb Slide tops out at 30' long and will be the biggest attention grabber at your event! (DRY ONLY) *This is half of the 70' Obstacle Course! Increase the adventure at your child's birthday party! Kids of all ages and their parents, too, will love this Obstacle Course and will definitely not want to leave it! It boasts dual lanes and participants can run, climb, jump, crawl, and slide to reach the finish line. (DRY ONLY) *This is half of the 70' Obstacle Course!